This was a beautiful view. Need a car or taxi to get up to it. abitazione e servizi perfetti e accoglienti, ottima locazione e disponibilità del proprietario veramente tutto bene. Where to find Formia hotels near an airport? Where can I find hotels in Formia that are near tourist attractions? 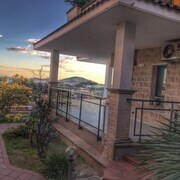 Formia has 17 Expedia lodging options. 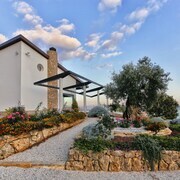 At the moment, there are approximately 17 places to stay within a 0.1-kilometre (0.06-mile) distance of the center of Formia which are in Expedia's network. There are only a small number accommodation options within easy walking distance from the center of Formia. The Kora Park Resort is a good choice as it's only 3 kilometres (2 miles) away. 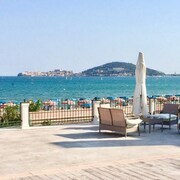 10 kilometres (6 miles) away from the heart of Formia, is the Summit Hotel. 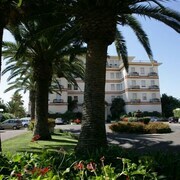 The Grand Hotel La Playa is located 17 kilometres (10 miles) away. If you'd prefer, you could book a bed at the Moresco Park Hotel or the Hotel Aurora. 70 kilometres (43 miles) away from Formia you'll find Ponza, where you'll find Grotte di Pilato Caves and Fazio Pier. Should you wish to spend a few nights in Ponza, check out the Hotel Torre dei Borboni and Grand Hotel Chiaia Di Luna. Or, you could consider staying in Sabaudia, 50 kilometres (31 miles) to the west of Formia, where you can pick from the Hotel Le Dune and Oasi Di Kufra Hotel. The La Grotta delle Capre and Villa of Domitian are a couple of the popular attractions to explore when visiting Sabaudia. Get your sports fix by making a trip to Stadio San Paolo, which is 70 kilometres (43 miles) to the southeast of Formia. 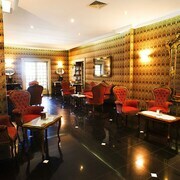 If you are keen on sleeping nearby, make a reservation in the Grand Hotel Parkers or Hotel Micalo. If you are flying into or out of Naples International Airport and choose to stay nearby try Romeo Hotel or La Ciliegina Lifestyle Hotel. What are the most popular Formia hotels? 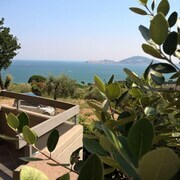 Are there hotels in other cities near Formia? 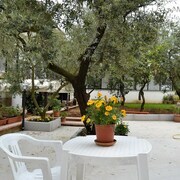 What other types of accommodations are available in Formia? Explore Formia with Expedia.ca’s Travel Guides to find the best flights, cars, holiday packages and more!